At the top, managers identified communication skills, help with transitioning to a leadership role, and interpersonal skills as the most needed training. In the middle, they identified setting goals, directing others, and managing conflict as next most important. In the last four slots, the respondents identified training on delegating tasks, dealing with performance issues, understanding HR policies, and conducting performance reviews as somewhat less important. Scott Blanchard, a principal with The Ken Blanchard Companies and coauthor of the company’s new First-time Manager program prioritizes a similar list in the September issue of Ignite. Blanchard highlights results from the same survey showing that only 39 percent of new managers with fewer than 3 years on the job reported having received any leadership training. Just 34 percent had received any mentoring. And a mere 31 percent had received coaching. According to Blanchard, if new managers are going to succeed, organizations need to be more consistent and proactive in their approach. Otherwise, managers are left to their own devices with mixed results. In fact, research from CEB indicates that as many as 60 percent of new managers underperform or fail within their first two years. 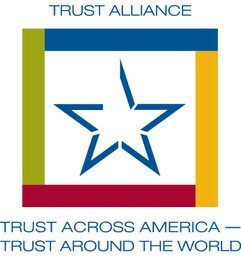 “With over two million millennials stepping into first time leadership roles each year in the US alone, we need to take steps immediately to better train new managers for their first roles,” says Blanchard. To address this, Blanchard recommends that organizations focus their new manager training curriculum on two areas: communication skills and conducting work-related management conversations. “We teach communication skills drawn from our Coaching Essentials program—including Listening, Inquiring, Telling Your Truth, and Expressing Confidence. Then we take a deeper dive into four conversations we feel are foundational for new managers: Goal Setting, Praising, Redirecting, and Wrapping Up. Blanchard’s goal is to increase the winning percentages of new managers one conversation at a time. 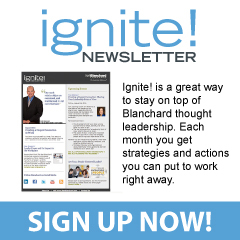 You can read more about Blanchard’s approach to first-time manager development in the September issue of Ignite. Use these links to download a PDF or PNG version of the infographic. There is in place a generation of managers who received little or no training after the requirement for supervisory training was abolished. While reinstated several years ago, agencies are still playing catch up and training/coaching funding is sorely lacking. Of course, formal training is only the beginning of the management journey and it must be continually reinforced and practiced with feedback and positive examples.